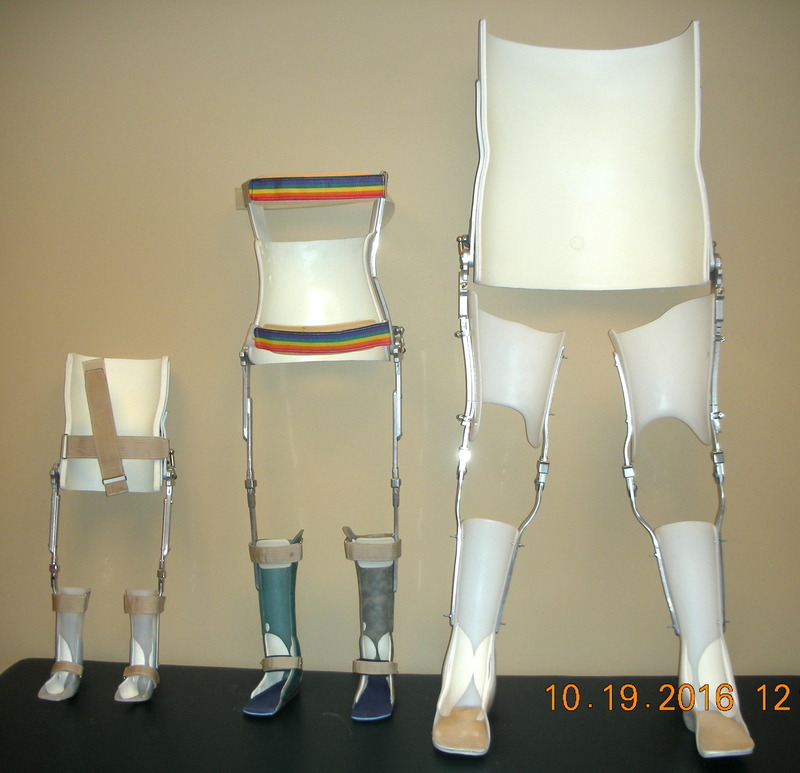 Reciprocating gait orthoses (RGOs) enable individuals with bilateral lower extremity paralysis the ability to weight bear without collapse by locking the knee and hip joints, holding the patient’s lower extremities in a straight and rigid position. This allows the ability to stand with controlled balance and walk with a swing-through or reciprocating gait pattern when assisted by a walker or forearm crutches. A reciprocating gait is achieved through the use of an isometric bar that is connected to the pelvic section and hip joints. Numerous benefits result from the use of RGOs in the rehabilitation of patients with paraplegia. These include improved bone density through weight bearing, improved organ function (bowel and bladder) and circulation, reduced incidence of joint contractures, reduced risk of ulceration resulting from prolonged sitting, enhanced social interactions from being able to stand and communicate at height with peers, and improved positive perception of body image. Due to the highly specialized nature of an RGO, an ADP Application for Funding Orthotic Devices form and the signature of both a Specialist and a Rehabilitator Assessors connected with the Specialist’s clinic is required.